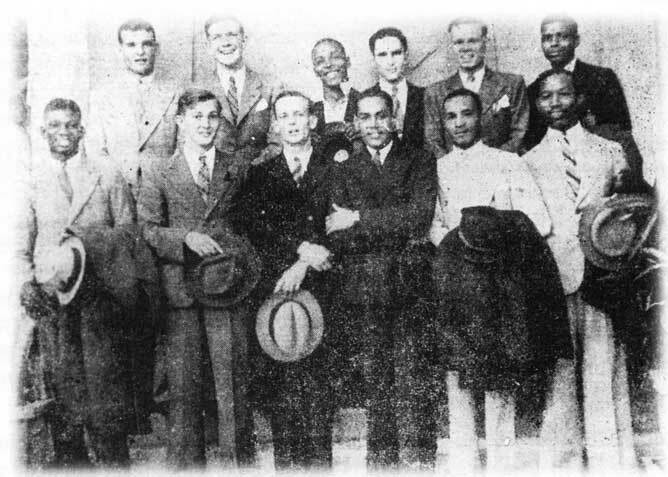 Caribbean aircrew in the RAF during WW2 » Blog Archive » WALROND – Arthur A. 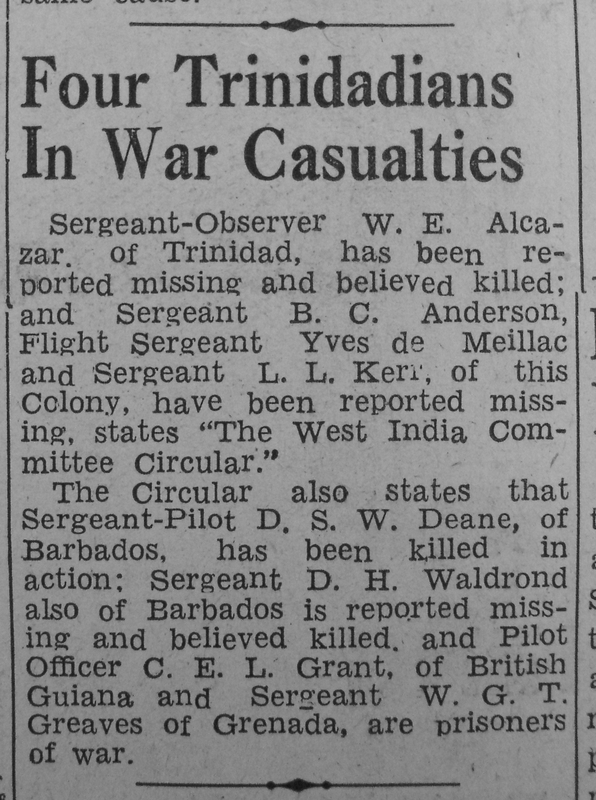 Sergeant Arthur Walrond from Barbados, wireless operator/air gunner of a Stirling Bomber. Killed on night of 29 June 1943, on a bombing raid over Germany. He has an encounter with American soldier in June 23, 1943 in a dance hall for inviting a white girl to dance with him – a fight broke out. He complainted about his treatment in a letter to the Government on June 29 but was killed that same night over Germany. Additional information: Son of Richard Humphrey and Sarah Walrond; husband of Ena Louise Walrond, of St. Michael, Barbados. Grave/Memorial Reference: Coll. grave 6. D. 1-20. I suspect Sgt. AA Walrond was the father or uncle of Dr. Errol Mickey Walrond, professor of surgery of UWI at Bridgetown. Here’s hoping someone can alert Dr Walrond to this website, he was my friend long ago that I’ve lost touch with but the family’s details fit.